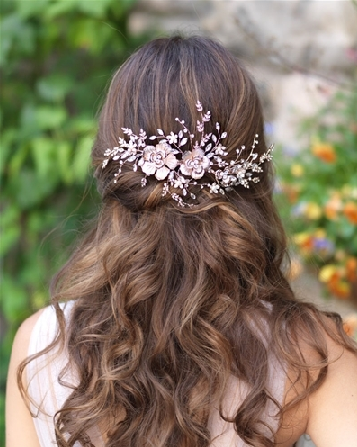 Accent your beautiful wedding or prom hairstyle with our gold and rose gold hair accessories. Our gold accented hair clips and combs will dazzle on your special day! Featured here is our stunning Floral Vine Hair Clip cl7048.